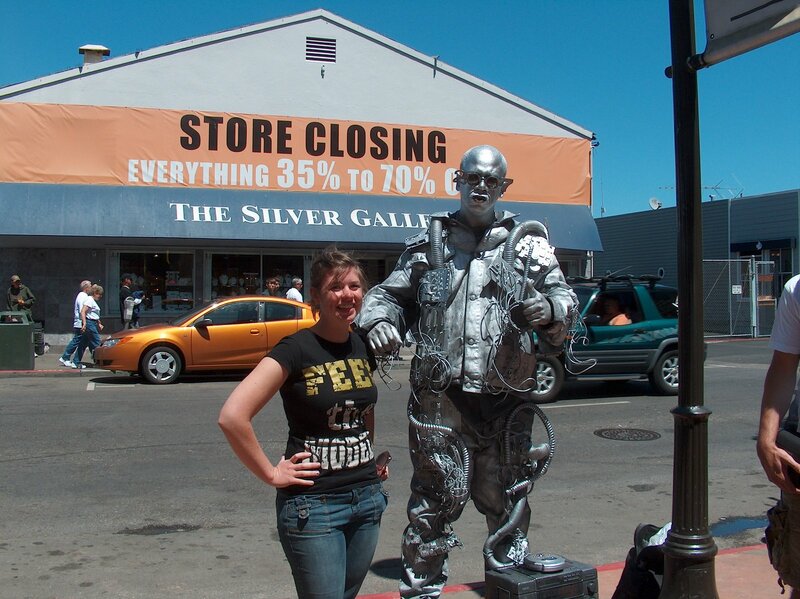 I left my wallet in San Francisco……. Well with all the extra taxes on parking, eating, souveniers, walking down the street, using the rest rooms, you get the idea……..we came back with very little of the green stuff. 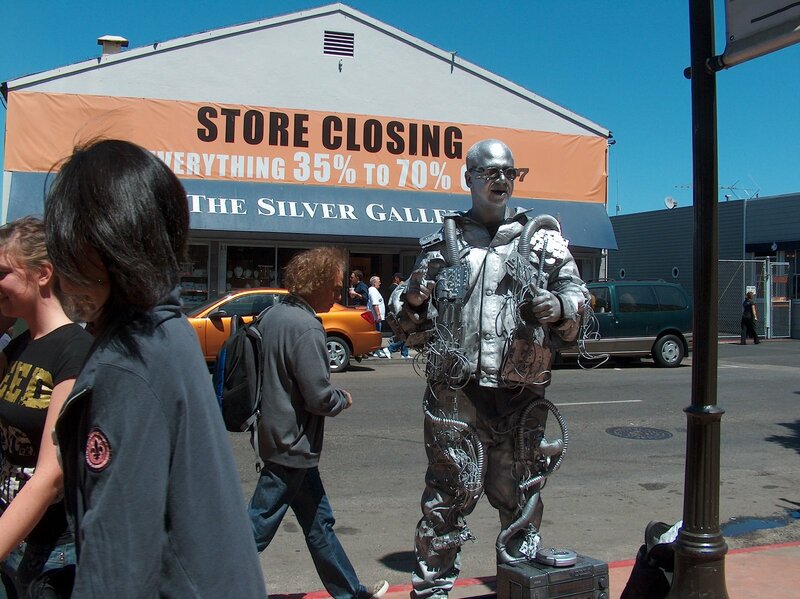 One of the ways we got some cheap entertainment was in filling the cup of these silver guys who would move around in robotic fashion to some rap type music. Cheapest Entertainment of all! See the white stuff on the roof of the car? And…..see the open sun roof? This entry was posted in Seagull Saga. Bookmark the permalink.